Are you looking to add some variety to your store? By incorporating ethnic foods, such as wholesale Mochi ice cream in your store, you can experience many benefits other than just adding variety to your shelves. Keep reading to learn about the many benefits that ethnic foods can bring to your store below! Offering ethnic foods, such as wholesale Mochi ice cream, to customers in your store can make it easier for customers in your area to experience a new culture. While these foods may seem strange at first, many consumers will be more intrigued to put the ice cream in their cart. This curiosity is prevalent in many consumers’ minds. Seeing something out of their ordinary shopping habits can spark a sense of interest and make it easier for them to try something new. For those that don’t have the ability to experience new cultures first-hand, trying new foods can be their way to explore. By stocking your shelves with ethnic, wholesale Mochi ice cream, you can help assist in their exploration. While seeing the same faces come in and out of your store can be great, seeing new faces can be inspiring. This shows that your store is diversifying and becoming a resource for more people in your community. By offering a selection of ethnic foods in your store, you are opening your doors to a broader audience of customers. Rather than having to find a local, ethnic market, consumers will be able to find their favorite, traditional foods at your store. This can help them get more acquainted into the community and help you increase your sales to a demographic you never thought possible. We have experienced many grocery store owners that struggle to make their store stand out from others. Rather than struggling with endless marketing techniques, try offering a broader selection of ethnic foods. Your store will be recognized and known for carrying more than just the traditional assortment of foods. This can spark interest in the minds of consumers and help your store gain that competitive advantage it’s been looking for. Adding just any brand of Mochi ice cream in your store will not give you the benefits listed above. 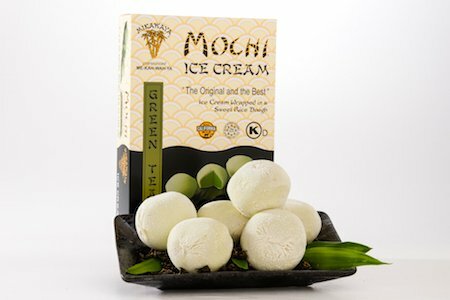 Finding the right brand of authentic and delicious Mochi ice cream for your customers is key to helping them build a connection with your store. Choosing wholesale ice cream brands can be a difficult task, especially when they specialize in items you might have never heard of before. Take the time to refine your search to the original and best brands of any ethnic foods you aspire to sell in your store before taking the plunge.